WEllllll, my favorite Suave product probably doesn't unlock my softer side---I love their hair spray! It's inexpensive and does the job very well for my thick hair! I have also used the body washes, conditioner and shampoo, and lotions. I'd like to try the Professionals line for hair care next. Affordability is key for this single mama!!! I echo the first poster, i love their hairspray! I would love to try Suave Skin Solutions Lotions to unlock my softer side. Sounds wonderful and I'm always looking for affordable skincare products that works! :) Thank you so much for sharing your thoughts. I'd use the Everlasting Sunshine body wash to unlock my softer side! I would use the Suave Skin Solutions Advanced Therapy Lotion. I'd use Suave Professionals Argan Oil. I would use the Suave cocobutter and shea body wash to unlock my softer side. I'd use the smoothing cocoa butter cream. I would want to use the Suave Skin Solutions Advanced Therapy Lotion. I love the cocoa butter cream. I'd use the Suave Skin Solutions Advanced Therapy Lotion to unlock my softer side. I'd like to try the Silkening lotion with Baby Oil. I think I will need Suave Advance Therapy lotion and Creamy Cocoa Butter & Shea body wash .. my skin is pretty dry most of the time and I need all the help that I can get with the hydration. My all time fave suave are there coconut shampoo and conditioner. I love their moroccan infusion line (shampoo and conditioner)...keeps my hair so soft! Haven't tried their lotion yet, but will. Suave Daily Clarifying Shampoo unlocks the softer side of my hair. I love suave's advanced therapy lotion! I would use Suave Skin Solutions Advanced Therapy Lotion to keep my skin silky smooth! The Advanced therapy lotion would unlock my softer side. i'd use suave's Creamy Tropical Coconut Body Wash to get my skin really soft! I'd like to try their body wash. I have used their shampoo for a long time on and off. One product that I love to use on a daily basis from Suave to unlock my softer side would be the Lavendar Vanilla body lotion. 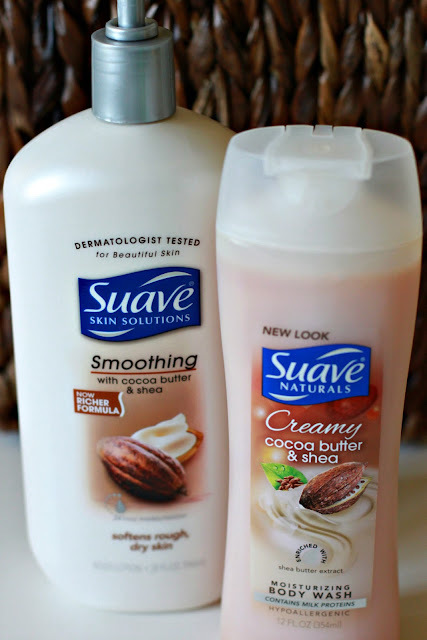 I would use the Suave Body Lotion with Cocoa Butter. I like the coconut sauve conditioner and shampoo. Advanced Therapy lotion for me! I've been using Suave products for a long time. I especially love the body washes. Now I want to try the Suave Skin Solutions Advanced Therapy Lotion. I want to use the Suave Skin Solutions Advanced Therapy Lotion. 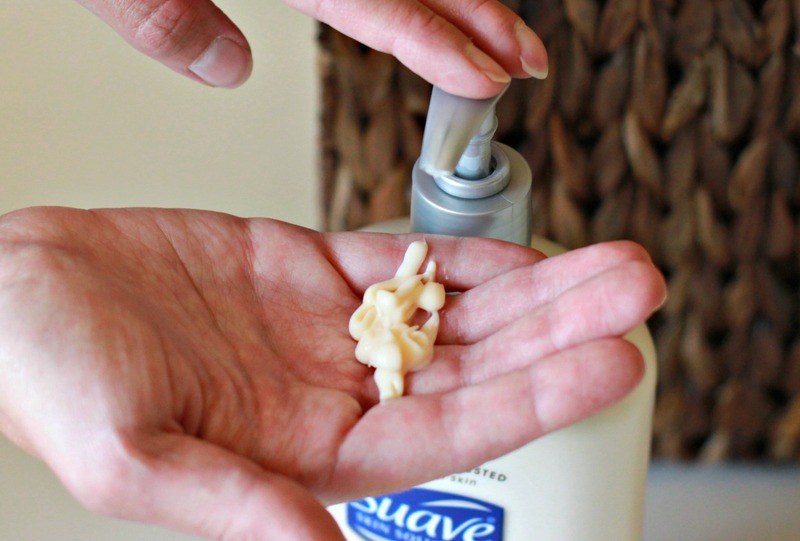 I would use the Suave Skin Solutions Advanced Therapy Lotion to unlock my softer side. I would try/use the advanced therapy lotion. I'd love to try the Suave Keratin products!! Sounds amazing! The Suave Smoothing Body Lotion in cocoa butter is my fave! Unlocks my softer side! Their Mango Mandarin body lotion is my go to solution for soft skin! I would love to use the Advanced Therapy Lotion, especially since it does not make your skin feel sticky. Sign me up for that advanced therapy lotion!! Id love to try the Suave Advanced Therapy Cream! I would use Suave Advanced Therapy Body Lotion.